What a week and we just went up another gear!!! 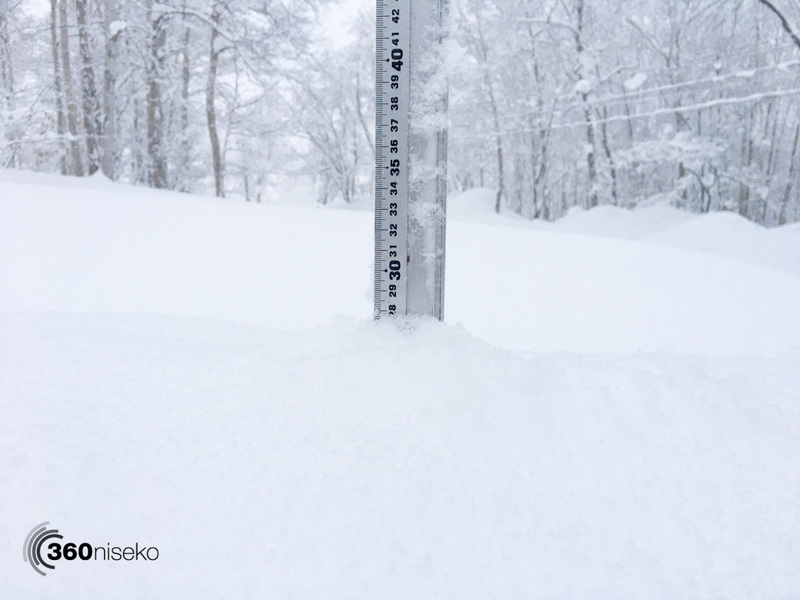 *28cm has fallen in the last 24 hours in Niseko. At 07:00 today the temperature was -10°C. This morning again greats us with yet another fantastic layer of fresh snowfall!! Last night it absolutely dumped and the quality of the snow this morning is as good as it gets! We are in the grip of one of if not the strongest cold fronts of the winter with today’s top temperature in Kutchan and Niseko Town forecast to reach only -8! Luckily the winds will be light so it will be a another magical day in the mountains. We have now had 137cm of accumulative snowfall in the past 7 days!! Up on the mountain add at least another 23-30%!! !